Next week, there will be tens of thousands of children looking for something to do for two weeks. What better way to unwind than to read a book? Our members include several specialist children’s booksellers, and Sheila from the Children’s Bookshop Auckland and Christchurch, and John from the Children’s Bookshop Wellington were happy to give us their top tips for reads this Spring school holidays. By the creator of the popular Press Here, a book for all ages, this just released thick, spiral bound book will entertain and divert on many levels. Split pages of quirky scribbles, shapes, letters, signs and lines allow the readers to mix and match the patterns and paintings by simply turning the pages. Then go and visit the nearest art gallery to study modern art, buy plenty of paper and paint and continue the experience by encouraging children to paint their own art work. 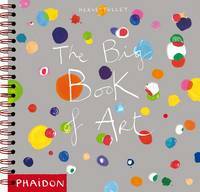 Like other works by Tullet, this book would be also quite at home of the coffee table to allow grown-ups a change to indulge their inner artist. From Vintage Classics this modest little paperback book of rhymes and riddles will entertain and amuse children of all ages. They will discover verse by Edward Lear, Lewis Carroll, Ogden Nash, Roald Dahl, Spike Milligan. Michael Rosen and Julia Donaldson along with the famous Anonymous and many more familiar poets. Then go out and look for some of the other marvellous books of poetry to share together.